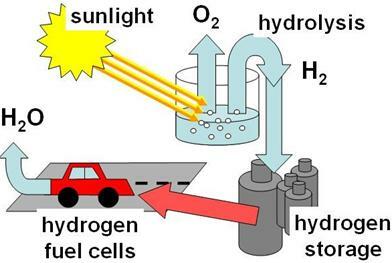 The transformation of solar energy into chemical energy stored in the form of hydrogen, through photoelectrochemical water splitting is a promising method with the important advantage of being environment friendly and free from carbon dioxide emission. Several metal oxide semiconductors are able to split water into hydrogen and oxygen but the efficiencies are still low. Several strategies were proposed to improve the photoelectrochemical properties like doping or nanostucturing, but the origin of the improvement is not well understood yet. 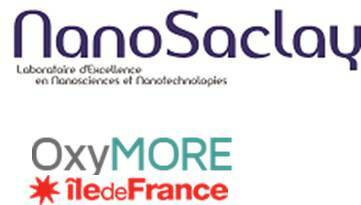 In the laboratory, we study the photo-electrochemical activity of thin epitaxial oxide films in order to understand the influence of different parameters on the photoanode efficiency. Enhanced photo-anode properties of epitaxial Ti doped a-Fe2O3 (0001) thin films, H. Magnan, D. Stanescu, M. Rioult, E. Fonda, A. Barbier, Appl. Phys. Lett. 101, 133908(2012).